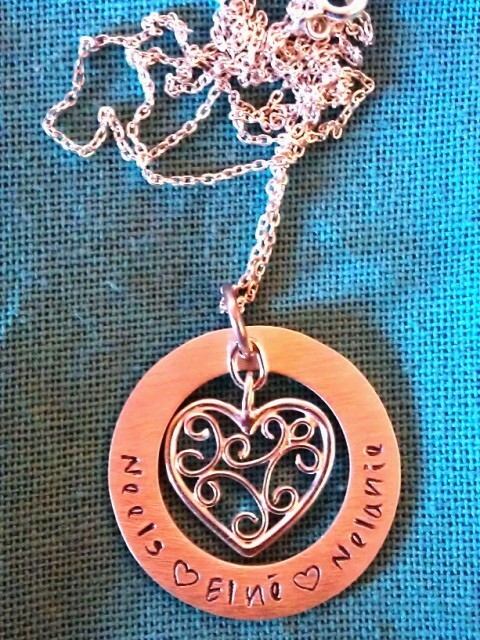 An intricate filigree heart charm dangles inside a circle, all in sterling silver. Names or inspirational words are hand-stamped along the circle's edge. Hung on a sterling silver chain of your choice, finished with a freshwater pearl. Notify me when 45cm fine oval link chain Circle of Love Pendant with Dangling Filigree Charm is available.